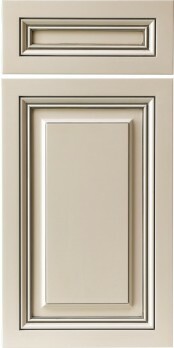 The Presidential Miter maintains the same overall aesthetic as the Presidential Square door, which is found in our Traditional Raised Panel collection; however, due to the mitered joints, this version is much more affordably priced. A more expensive, mortise and tenon version of this door is also available if the mitered joints are not preferred. 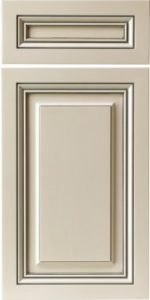 For customers who enjoy the look of this door, but require a painted finish, Conestoga (CWS) provides the Presidential Miter (MDF). The MDF version of this popular door is a fantastic option for painted finishes due to its five-piece, full MDF construction, which compared to wood, is less prone to expanding & contracting.